Imagine for a moment you are God. You exist before time, before the universe, before everything! You have no body you have no shape, it hasn’t been created yet. You are just floating in space. You are pure consciousness without form or shape, it’s as if you were nothing. How would you even know you existed? You have no external reference points, and no internal reference points either for that matter. You have no idea who you are and what you’re even capable of. You are God, nothing exists outside of you, you are everything. You are pure energy, completely formless and unlimited. You are infinite. Something very difficult to comprehend. Now, you wish to learn about yourself, and who you are and what you can do. So you begin to create, but since you are everything and are infinite you can’t create outside of yourself you must create within yourself. It is impossible for something to exist outside of infinity. So you begin to create dimensions like up and a down, and left and right, you begin to create little objects within your self. These objects are not separate from you, they are you, they are within you. Now you have established internal reference points and objects and are learning about yourself, and what you are capable of. Yet you are not finished. You begin to create little entities within yourself and give them consciousness, so they can look up at you and say: “Ah that’s God, this is me, and this is what we can do.” The singularity has become a plurality but at the fundamental level it is still a singularity. Thus the illusion of separation is born. Ultimately there is no separation, but the illusion of separation at the superficial level serves a purpose. Without the illusion of separation without reference points you could not create, you could not experience! You would not know up from down, you would not know there, as oppose to here. The relative framework is setup perfectly to give rise to experience. Without it, it would be as if nothing existed. You could not compare yourself to anything and therefore you would not even know, you existed. Variety and diversity are extremely important because they help to differentiate one part of the whole from another. Time and space are also important so we can locate things relative to something else. In order for there to be even such a thing as ‘pleasure’ its polar opposite ‘pain’ must also exist and be experiential. Something can only exist with reference to its polar opposite. Everything in the universe appears in dualities. These are a fundamental need for existence and experience’s of the given nature. This is a really important point. 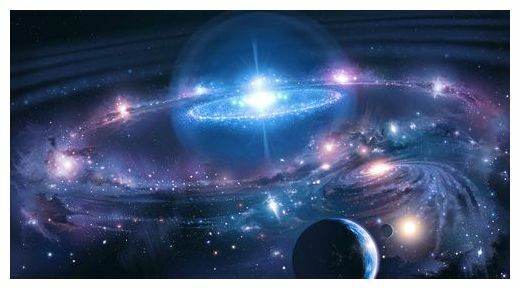 At the fundamental level everything is energy, mass is just condensed energy, and we know from quantum physics all energy in the universe and in existence is interconnected. Everything influences everything else at the quantum level. This energy is God stuff. It is consciousness. Energy can also never be created or destroyed only transformed from one form into another. So in essence the energy has always been there forever and ever and will always be there forever and ever; it is infinite, it is God. The universe behaves like ONE gigantic organism. With every part, equally as important as every other part. No Thing in the universe likewise could possibly be more superior fundamentally than any other thing. The whole being is greater than the sum of its parts. Ultimately everything in the universe is connected and influences everything else. It is impossible to differentiate one part of the whole from another part at the fundamental level because ultimately it is all made of the same stuff and acts and behaves like ONE. This encompasses All That Is. So what’s the point you ask? The point and purpose of the universe is so that God could experience Itself and come to know Itself through creating within Itself. Remember God can’t create outside itself because God IS everything and always has been, and always will be. What is the meaning of all this? Meaning is something that exists only temporarily in time. You can do something that will be meaningful to you today, but in a million years what does it mean?? Will anyone care, will you care? One thing is certain about the universe and that is change. NOTHING stays the same, and this gives rise to diversity. The universe even at the most basic energetic level is teeming with motion. There is no stasis and ultimately therefore you can never attach meaning to any one thing eternally. To attach meaning to any moment in time eternally you would have to freeze the entire universe and all of existence. You would have to stop life! And then it would be as if nothing existed. Now there is no meaning yet there is purpose and the purpose of All That Is, is to experience and create. It’s a self discovery process on all levels of existence. You have been given free-will to create and experience life(God) in what ever way you choose. People often get caught up in a search for the meaning of life and try to artificially impose some sort of eternal meaning on something. It always fails. The point is to create and experience and the process of evolution allows you to learn more and more, and to create and experience with more variety and diversity. This is the true wonder of life. The purpose of existence of God is to experience reality in all its forms in all possible and probable ways. To experience, birth and death, relationships, life in the physical universe, and then life also in the many non-physical realms. The pool of possible experience is so vast and magnificent, it is infinite. To live life in whatever way you choose is the purpose of life. To grow and sometimes through adversity to really understand all aspects of life. For you to become greater than something you are now. You would not truly understand something unless you experienced it. The goal is to get as much varied experience as possible of your choosing. There is no end to this process of gaining experience and creating. It is an infinite process. It ties past, present and future all together in the eternal moment of now. The true joy in life is in experience of the NOW. The past and the future in the mind are not places of true joy. True joy is always experienced in the moment. Creativity always springs from the present moment. That is what the purpose of your life is. That is what the purpose of the universe is. This understanding of the universe as God is not new. It is ancient. These understandings are at the very core of many ancient religions such as the Egyptian religion, Mayan religion, Hinduism, Gnosticism, Paganism, and various tribal religions across the face of the planet. It is only through time and the corruption of men that they have lost their original meaning and interpretation. This deserves an explanation. Religions can basically be divided into 2 categories. The first is for example Judeo-Christian type religions where the purpose of these religions are to have a relationship with the divine. This means usually that God is an external separate parent like entity. Most people understand this concept very well. This is the predominant belief among western/European civilizations. In this scenario God is very separate from his creation. God and his creation are irreconcilable. The second is for example Hinduism, Buddhism, various tribal religions, Gnosticism, Egyptian religion at its core and various others. The purpose of these religions was to establish an identity with the divine. Let me explain this concept a little because most people don’t understand this. In this belief system the entire universe and everything within it, is divine ie.God. God is NOT a separate entity. God IS everything literally. This is known as pantheism. The purpose of these religions was that through life’s journeys and lessons you would become aware of the illusion of separation and come to know and understand your own divinity and experience mystical union with all that is! The purpose is to gain awareness, sentience, knowledge, experience, of the true nature of the universe which is unconditional love. To see past the illusion to see how truly great all of creation and existence truly is. How lovely it is, how intricate, indescribable, and beyond words. Astounding. In Hinduism for example their books/scriptures have always been regarded as mythological and not as actual fact. Take the Egyptian religion for example what we term ‘Gods’ in their religions are more appropriately known to them as symbolic/mythological/archetypal representations of different aspects of the divine! This is crucial in understanding their type of philosophy and ideology. 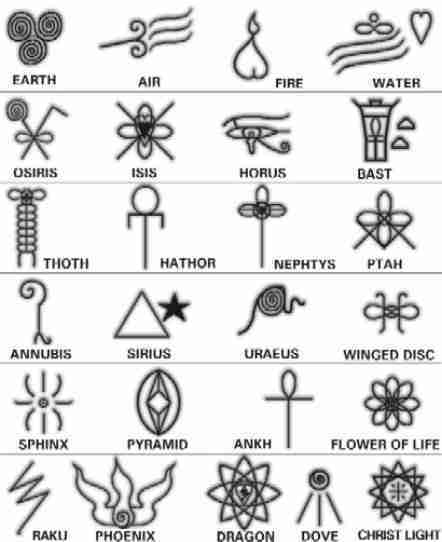 Ultimately the ancients knew everything was one and everything was God, they just had symbolic representations of the different aspects of the divine such as the divine aspect of fire, earth, air and water which were also sometimes given ‘God’ like names. They were never meant to be viewed as actual real separate God entities, they way we view God in the Judeo-Christian religion!! The ancients mythologies were archetypal representations of man’s journey through life which contained various aspects of the divine. These helped individuals understand various governing principles of the universe and contained moral lessons, spiritual advice and so on. Now over the years, kings and rulers have often twisted these ancient religions so that what was considered different aspects of the divine was turned into actual separate God entities. Through this, kings and ruler stripped away the knowledge of everyone’s divinity and made themselves God so they could accumulate more power and money. So in this regard often these beautiful ancient religions have often been twisted to the greed of certain men and lost their original meaning!